TUESDAY, July 3, 2018 (HealthDay News) -- The Pap test, used for over 50 years to spot the early signs of cervical cancer, may soon become a thing of the past, new research suggests. Its replacement? The human papillomavirus (HPV) test. Nearly all cervical cancer cases are linked to HPV infection, and HPV testing detected pre-cancers earlier and more accurately than the Pap test among the 19,000 women in the Canadian study. The HPV test also seemed better at predicting who'd stay cancer-free, the investigators found. Women whose HPV test showed they didn't have the infection were less apt to develop a pre-cancerous lesion over the next four years, compared to women who'd gotten the Pap test alone. "All women of childbearing age should be screened for cervical cancer," said lead researcher Dr. Gina Ogilvie, a professor in the School of Population and Public Health at the University of British Columbia, in Vancouver. Thousands of women's lives have been saved because the Pap test detected cervical cancer in its earliest stages. But the newer, more accurate HPV test may replace the Pap smear as the preferred screening test, Ogilvie said. U.S. guidelines call for both HPV and Pap tests, but studies have shown that the real benefit comes from the HPV test, she added. According to the American College of Obstetricians and Gynecologists, women aged 21 to 29 should have a Pap test alone every three years. Women 30 to 65 years should have a Pap test and an HPV test every five years or a Pap test alone every three years. A new draft guideline from the U.S. Preventive Services Task Force, however, says HPV testing can replace Pap tests, Ogilvie said. Specifically, the task force is recommending either screening every three years with a Pap test alone or every five years with an HPV test alone for women aged 29 to 65. For women under 25, the Pap test is still the standard because many young women are infected with HPV, Ogilvie said. Cervical cancer is very rare in younger women, and an HPV test might send many women for unnecessary treatment, she explained. For the study, the researchers randomly assigned more than 19,000 women aged 25 and older to either Pap testing alone or HPV testing alone. After four years, nearly six women in 1,000 who had Pap tests had pre-cancerous lesions, compared with just two in 1,000 women who had HPV tests alone. The findings were published July 3 in the Journal of the American Medical Association. One expert expects to see the end of Pap tests in favor of HPV tests. "Pap testing is going away," said Dr. L. Stewart Massad, a professor of obstetrics and gynecology at Washington University School of Medicine in St. Louis. This trial showed that screening with HPV testing leads to earlier diagnosis of cervical pre-cancer and picks up cases that Pap testing missed, he said. "Look for changes to screening guidelines to favor HPV testing over Pap testing, and expect a shift to longer intervals between screens," said Massad, who wrote an editorial accompanying the study. But Dr. Jason Wright, chief of gynecologic oncology at NewYork-Presbyterian/Columbia University Medical Center in New York City, isn't ready to opt for HPV testing alone. "This is one study," he said. 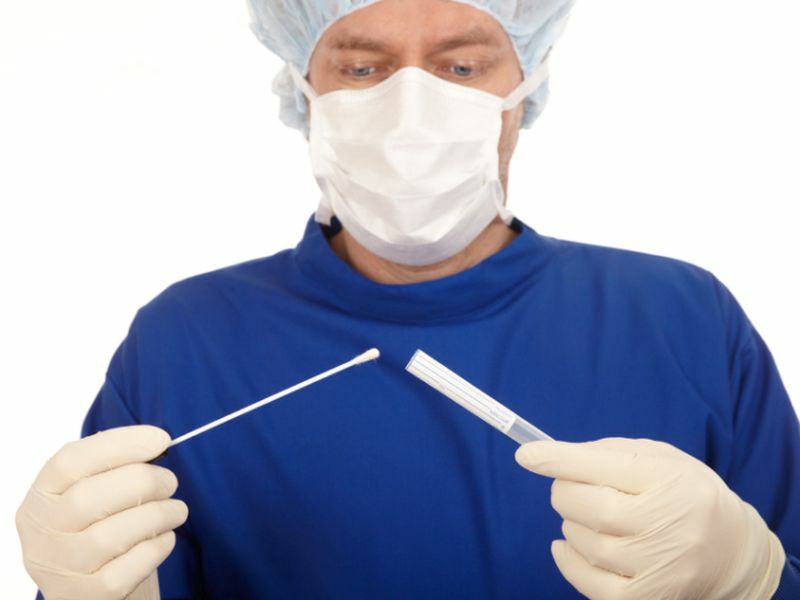 The Pap smear has been around for 50 years, so co-testing remains a viable option, Wright said. "But we will gradually move to more HPV testing for primary screening," he said. "It will probably be a slow process." Women should discuss the risks and benefits of each test with their doctor, Wright said.